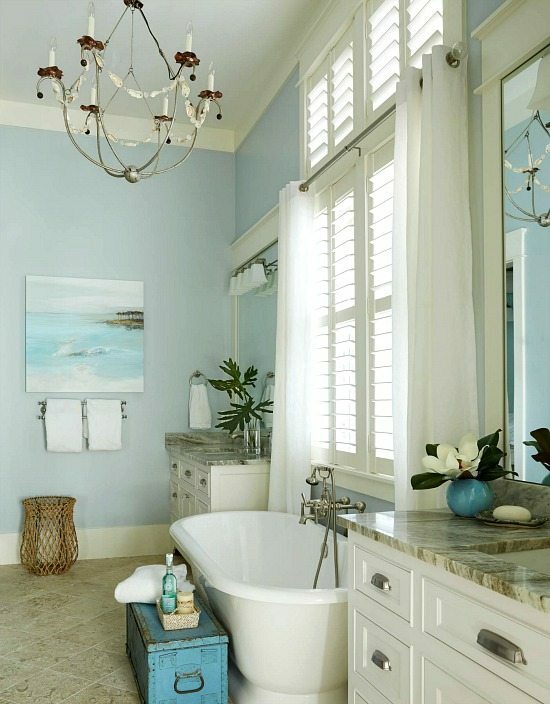 Beach house decor ideas abound in this elegant Florida home by GCI Design. 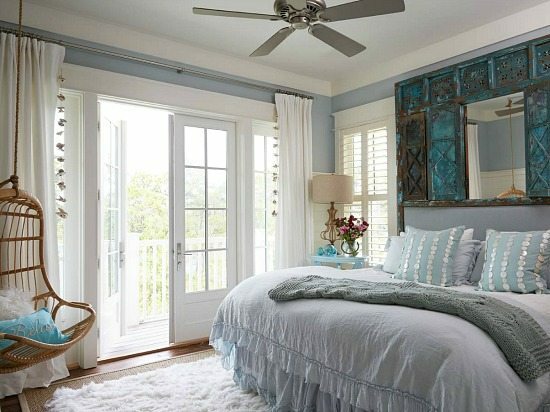 Lovely vignettes, exquisite lighting, fabulous Wall Art, and more. You might want to steal some of these ieas! The large Ocean Painting in the foyer speaks loud and clear. 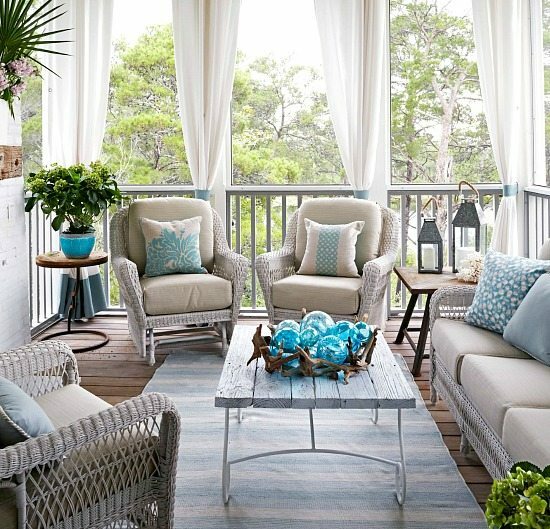 This beach house takes its cues from the sea and the sand! 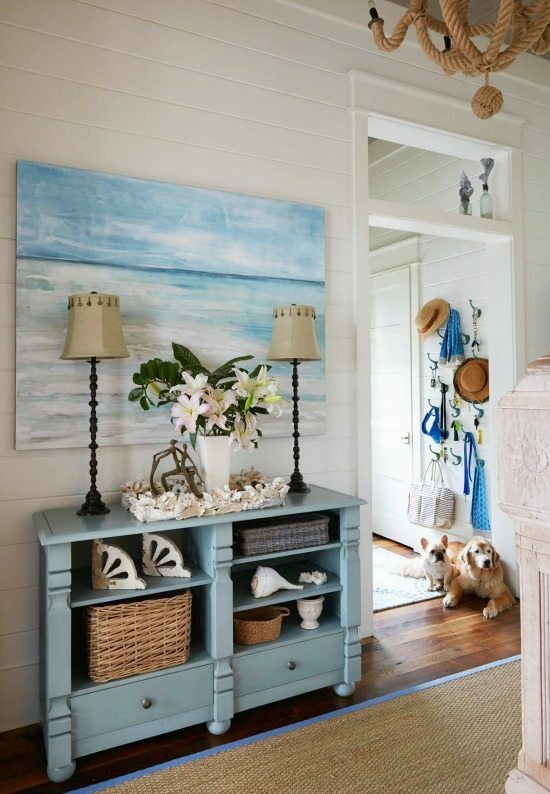 There are so many beach house decor ideas that I love, starting right at the entry with Pottery Barn’s Beach House Sign, and in the foyer a casual hook wardrobe that’s perfect for straw hats and Beach Bags. Quite decorative when color coordinated! 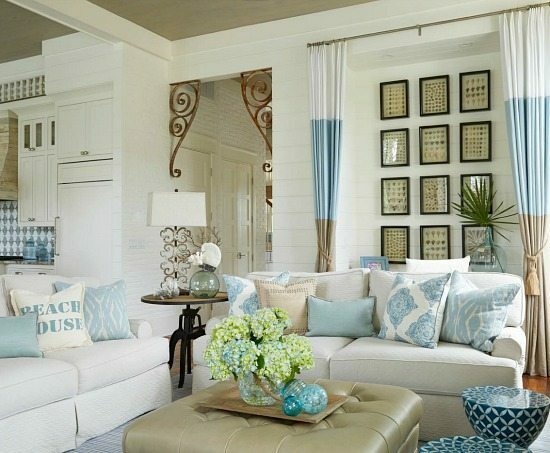 The desk nook in the living room is brilliant, with a gorgeous gallery wall of framed sea shells which is a great way to Savor your Beach Memories. And all the Lighting is simply exquisite. 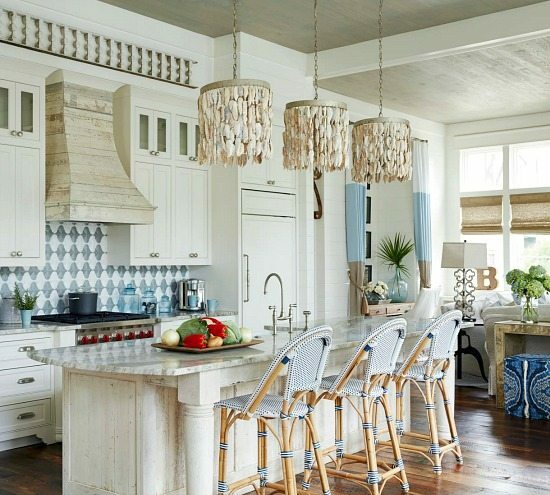 From a Rope Chandelier, to a cute Rope Table Lamp, to a trio of oyster shell chandeliers hanging over the kitchen island, to a delicate chandelier embellished with seashells in the bathroom. 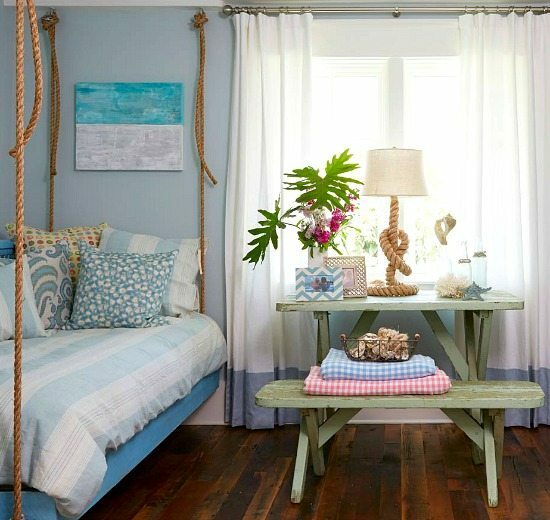 And how fun is Two’s Company Hanging Rattan Chair in the bedroom? 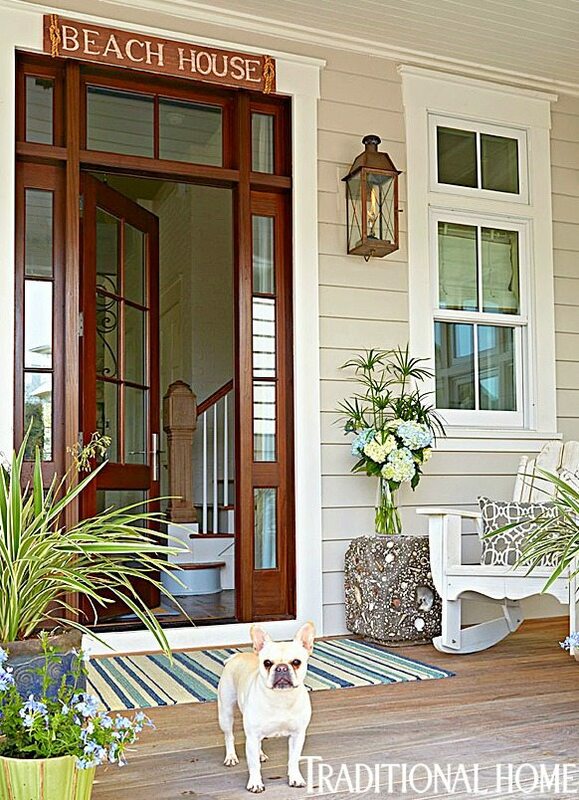 I might relocate it to the porch though! 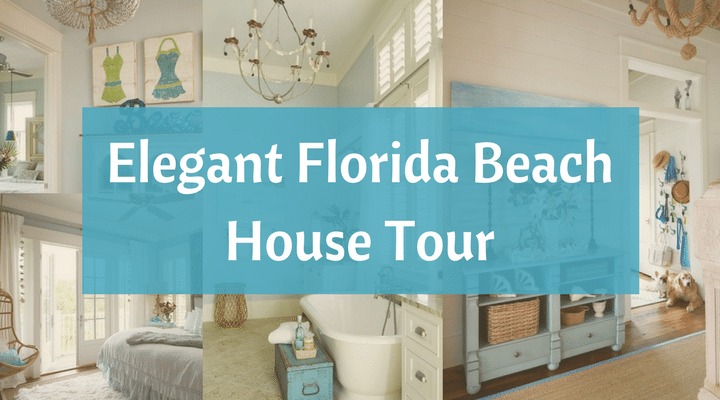 You can see more of this elegant beach house over at GCI Design and Traditional Home.